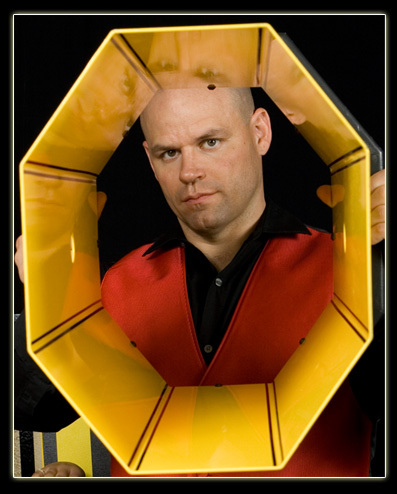 Patrick Wallace helps corporations, party planners and organizations make their events unforgettable and uproariously fun with unique programs consisting of magic, comedy, and audience participation. Since 1994, Patrick has been entertaining audiences around the world. He has helped such organizations as The Relay for Life, Phoenix Children’s Hospital, Surprise Fighting Falcons, The March of Dimes and The City of Goodyear, Arizona make their events a smashing success! Patrick also teaches other entertainers from around the world how to be better performers and market themselves more effectively. He is the author of "Magic Tricks to Fool Your Friends” and "Easy to Learn, Fun to Perform, Amazing to Watch MAGIC Tricks" books and an active member of The International Brotherhood of Magicians. To Patrick, magic is much more than just performing it is crucial to improving skills such as personal expression, public speaking and self confidence; it's the perfect icebreaker. The confidence that Patrick has honed through magic has helped him reach his goals. Two of his most proud accomplishments are his Bachelor’s Degree in Management from Weber State University and his Master’s Degree in Human Relations from Oklahoma University. He teaches through magic that goals are obtainable, dreams are reachable, and each and everyone is special. Whether he is performing Harry Houdini’s famous metamorphosis illusion, cutting his assistant in half or astounding your audience with another magical feat, Patrick’s goal is to make you look good by presenting a show everyone will enjoy and remember for a long time to come!